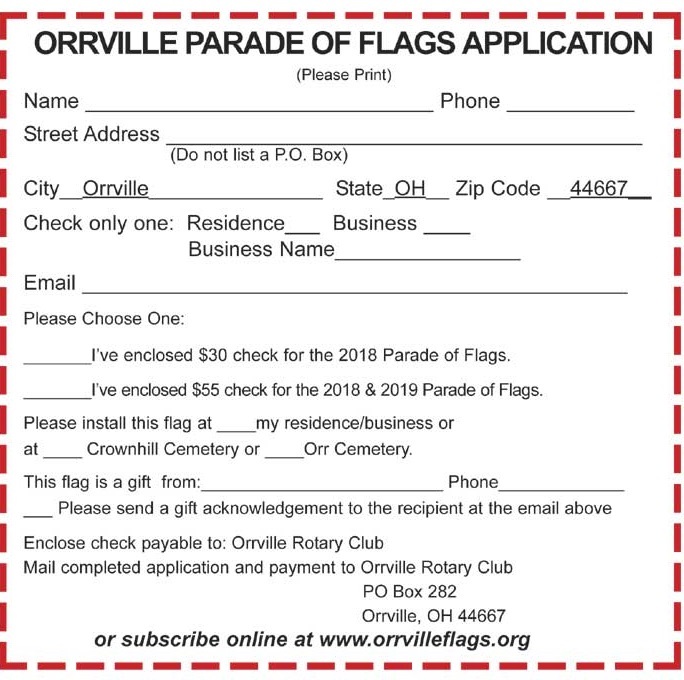 Join the Orrville Rotary Parade of Flags and help create a community of red, white, and blue in your hometown! Subscriptions are available online: CLICK HERE! Orrville Rotary Club as the 2017-2017 Rotarian of the Year! What a great day to officially open the Orrville Trail Head! 2016 Rotarian of the Year! 2016 Orrville Rotary Club Volunteer of the Year! 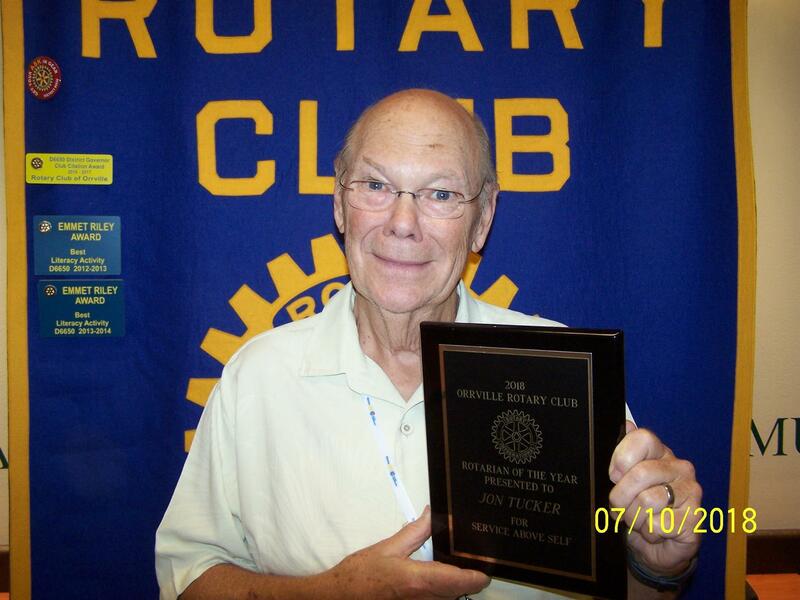 This years recipient of the Rotary Club Volunteer of the Year goes to Orrville resident Dave Yehl! Congratulations Dave and Thank you for all your volunteer service!! Rotary President,Jon Tucker & Rotarian Becky Jewell present Don Noble with a check from Rotary to support the Rails to Trails project! Rotarians Lynn Horner, Jon Tucker and Dr. Amelia Laing presenting a Rotary flag from Accra, Ghana! Thanks to everyone who came to our Orrville Rotary Breakfast Before Business! Putting out flags is a lot of work, but can also be fun when you gather Rotarians for the job! Jon Tucker, Steve Snyder & Amelia Laing are doing their part to help out the project. Wilma Raynor (pictured on far left) co-ordinated the effort to collect 92 cereal boxes to commemorate Orrville Rotary’s 92nd anniversary, (over 100 total were collected) Also pictured are club president Mistie Ankenman (second from left) and Sarah Ecker (right) who is the Orrville Salvation Army director, where the boxes will be distributed.